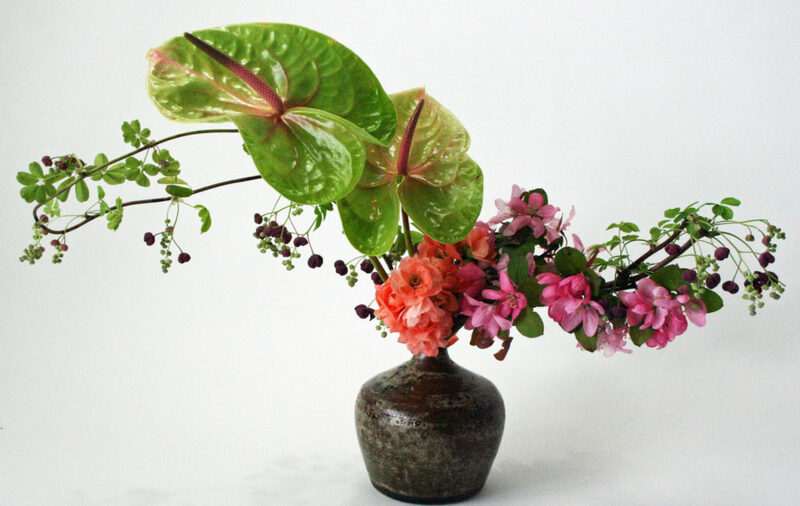 This horizontal moribana was done tonight after my last yoga class (which has been absolutely fantastic). Many thanks to my wonderful and awesome teachers Jen and Liz for expanding my horizons and sharing their love of yoga with me. It has taught me about being grounded and helped me so much to continue my daily ikebana work.